MHA IB ACIO Recruitment 2019 Notification issued by the Intelligence Bureau, MHA. They Invite the Unemployed candidates to fulfil the 318 vacancies of Assistant Central Intelligence Officer and Dy Central Intelligence Officer Posts. Interested Aspirants may apply for the MHA IB ACIO 2019 Notification before the last date of 24 April 2019. The Application process begins on 23rd Feb 2019. For more details refer to www.mha.nic.in Recruitment Official Web main links or get the updates here at our site. Are you looking for the latest news about the IB ACIO 2019 Notification? 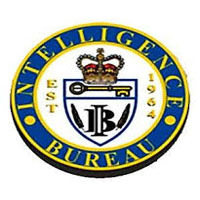 Yes, the Intelligence Bureau deliver 318 ACIO, ASO & Other Posts So, that, Applicants may look on our page. We are given sufficient information to candidates every time. This time also we are with again of MHA IB ACIO Recruitment and interested candidates or who are really wanted to get placed in the organization can go for the IB ACIO notification. In the below article, the direct link is mentioned very clearly and candidates can enrol the details through those links. Around totally 318 ACIO, ASO & Other Posts are ready to this IB ACIO vacancy 2019 fill with the good physic and talented and skilful candidates. The Initial Date to enrol is 23rd Feb 2019and the last date to enrol is 01 March 2019. For more Updates live Tuned on our page, www.Jobschat.In. As usual, the Intelligence Bureau is termed as IB and the main location is in New Delhi and job placement also is in throughout India. We are happy to inform this notification to those who are looking for the notification. But this board had issued only 318 Vacancies to recruit, for this only candidate are enrolling a lot. A Huge amount of applications is appearing in the organization now. Still, many of interested candidates are enrolling for the notification. Selected candidates having the salaries is high to confirm with other jobs in govt. willing candidates can apply for the MHA IB ACIO 2019 Notification now. For greater State Govt Jobs, can look on this net web page and go for to search around. Bachelor Degree/ Master Degree/ Engineering from a recognized university. Selected candidates can get Rs. 56, 100 – 1 ,77 ,500 per month for ACIO and Rs. 47,600-1,51 ,100/- for5 DCIO. For the job hunters, the board MHA IB brings the MHA OB ACIO Notification 2019 willing candidates can apply Online through the below links are placed at the bottom of the page. Here you can download the official notification now. so, From 23rd Feb 2019, the online process will be live and the End date to enrol in online is 01 March 2019. Around totally 318 jobs are ready to fill. So, In below article we giving complete details in a clear way. Now, know the qualification of education eligibility, application fee, pay scale, selection process, age limits, and more in the below article. For modern-day admit cards Stay caught our web page or crucial net log. Every year the board will announce several notifications to recruit the skilled candidates through the IB ACIO & DCIO Recruitment 2019 so for that firstly moving with the written test and very soon the officials will declare written test dates on the main website. Only Graduate candidates only are eligible can apply for the notification and overall 318 vacancies are ready to get be placed by the talented candidates, in our page, applicants can also check the complete syllabus for the IB ACIO & DCIO Vacancy 2019 notification written test. we advise the candidates should need to prepare well. For more Modern Employment can catch on our page. Go to official website @www.mha.nic.in.